Yet, at ISH-DC, ‘how was your day?’ can be a spectacular question. Imagine it, if you haven’t had the pleasure. In a house together, dozens and dozens of vital, young things. The best minds of your generation, riven with spirit, ambition, intellect. Unmoored from families, homes, countries. Relieved from the mundane, the everyday. Curious and keen. Once in a lifetime chances. ‘How was your day?’ is a spectacular question. Today might have been conference on the Ukraine. Or a basketball game. Political strife back home. A good day in the lab. At the dinner table we’ll talk about Putin rumours and Finnish defence strategy. We’ll be perplexed by March Madness or talk corruption and protest. We’ll listen, and try valiantly to understand organic chemistry. Today might have been a busy day on the Hill, fielding phone calls from angry constituents. Today might have a sneaking out of work for trip to a museum, or memorials King, Roosevelt and Jefferson. So at dinner we’ll talk rural crazies and natural history. Surely, we’ll agree to take Madison over Hamilton. Too, this is a house of dedicated comparativists. It is unavoidable really. At any given couch or table you might have Europeans and Africans, scientists and policymakers, sportspeople and musicians. We relate to each through our own memories and experiences. You go out for an evening as we are getting home. You pay tips, we pay wages. You call it soccer, we call it football. But this is something more empathetic, warmer about these conversations than mere identification of difference. The fact of our diversity tends to bring us closer together. Sometimes this happens in surprising ways. I’m a political scientist – I know better than most the fractures that run across this town. And we certainly have the ingredients for fireworks here. Political persuasions run the full gamut at ISH-DC, from Central American socialists to dedicated conservatives, wide-eyed internationalists to staunch, defence-hawk realists. And yet, discussions are not merely respectful, like some kind of feigned bipartisanship. There is an authenticity of interest, born of friendship and curiosity. All it takes is to ask and then to listen. In a mere few weeks around the dinner table at ISH-DC, I’ve often been dazzled by the breadth of discussion. I’ve learned that sharks aren’t really the predatory threat some might believe – in fact it’s the sharks that should be afraid of us. I’ve examined at length the various electoral systems of our various home nations (and thus had to, with great difficulty, explain how Australia ended up with a Senator from the Motoring Enthusiasts Party). I’ve learnt how to drive in Honduras (windows up. Always windows up). That if ISH-DC was Hogwarts (and we like to dream that it is), I’d probably be in either Gryffindor or Ravenclaw. I’ve learnt to not mention the World Cup, let alone the War. I hear the Dutch are very tall, while Finland is home to Santa Claus. Every night, it seems there is something more. So if you find yourself around the dinner table at ISH, please, join us for an evening’s conversation. 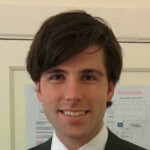 Adam is a PhD student in political science from the University of Melbourne, Australia. He is currently a visiting scholar at the George Washington University, conducting research on periods of social policy reform in the United States and Sweden. A comparativist at heart, Adam is driven to make connections between different societies and political cultures. When not studying, Adam is most likely to be found running the beautiful trails of Washington D.C. (weather permitting) as he trains for the Berlin Marathon in September this year.